CLAIM YOUR COMPETITIVE EDGE THROUGH COMMERCIAL INTELLIGENCE! B2B Commerce is going through a major transformation – many are even calling it the 4th Industrial Revolution. Are you feeling the pressure to claim and maintain your commercial edge in the marketplace? Struggling with how to quickly turn data into faster actionable insights? Separating Science Fact from Science Fiction in how to turn artificial intelligence into competitive advantage? 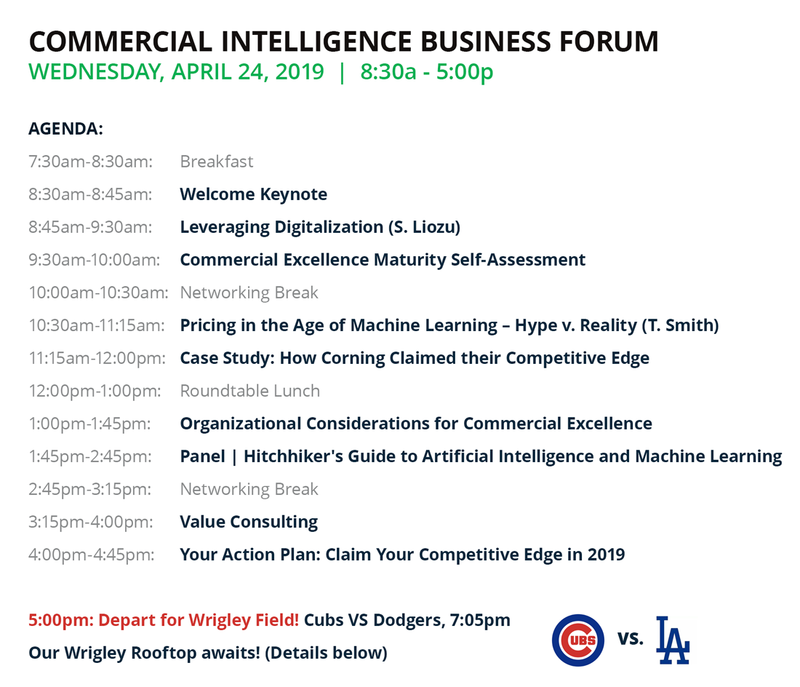 If so, join us for a one-day business forum around artificial intelligence, digitalization, and B2B eCommerce where we get collaborative with thought leaders and industry experts like Stephan Liozu and Tim Smith to build a progressive, achievable approach to achieving your commercial excellence potential. You'll also be able to learn from a real-life case study on how Corning Optical Communications transformed their business processes to turn data into actionable insight. Are you a current Vendavo customer (Vendavo Enterprise Profitability Solution (EPS), Vendavo CPQ Cloud, or Vendavo PricePoint) that would like to learn more about Vendavo’s Commercial Excellence Road Map? Would you like to help shape Vendavo’s future solution strategy and feature development priority? Would you like to meet with other Vendavo customers and share best practices about how to get the most out of your Vendavo investment? 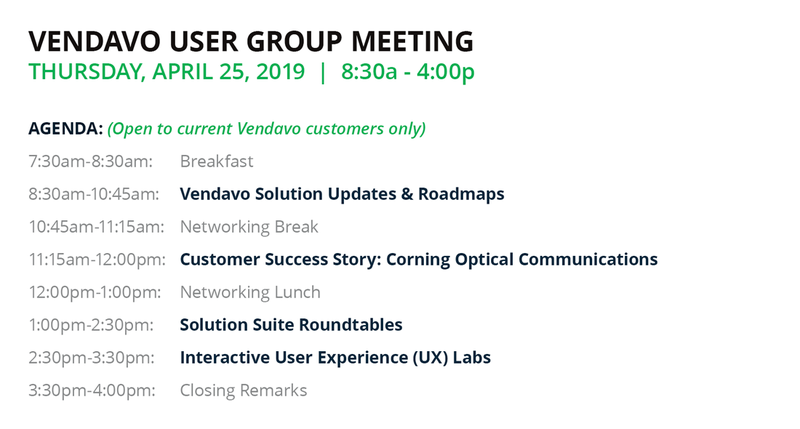 If so then join Alex Hoff, VP Product Management & Product Marketing along with many other Vendavo solution leaders for a regional users group meeting this April 25th. **PLUS! 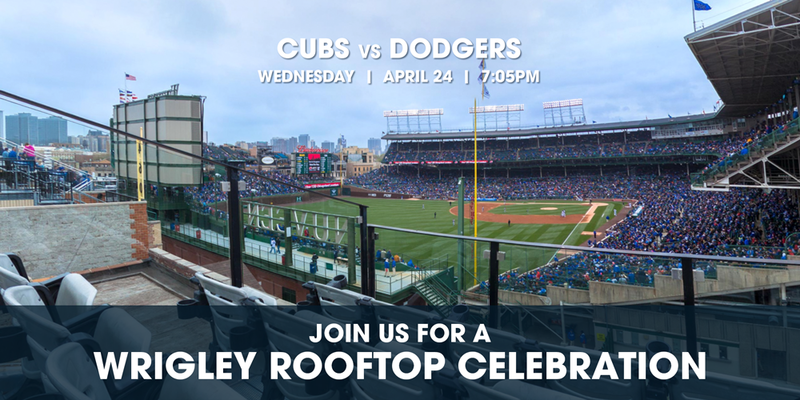 ** EARLY BIRD REGISTRATIONS will include an all-inclusive pass to join us on a Wrigley Rooftop for the Cubs VS Dodgers at 7:05p on Wednesday, April 24. We have limited seats available so register today! Join our industry experts for two days of collaboration, case studies and commercial excellence and THE CUBBIES! If you have any questions in the meantime, contact us by email at profitprophet@vendavo.com. We look forward to seeing you in Chicago!